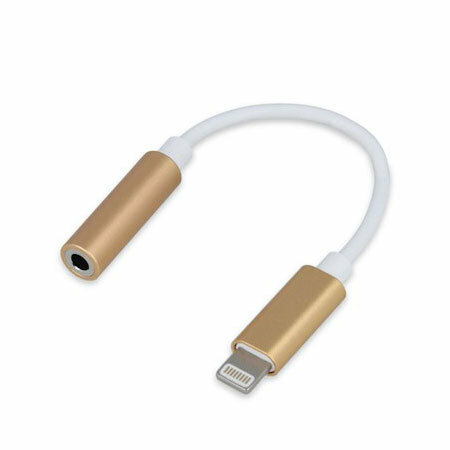 This Forever audio adapter in gold allows you to connect your 3.5mm audio accessories to the latest iOS 11 iPhones, via the Lightning USB port. Ideal for use with earphones, headphones or speakers that use a standard 3.5mm AUX connection. This adapter is fully compatible with the latest iOS 11 software and can therefore be used with the latest iPhones including iPhone 8 / 8 Plus / X / Xs / Xs Plus / Xr and older models. With the new iPhones having no 3.5mm AUX port, using your traditional 3.5mm earphones or headphones might at first glance look impossible. But fear not, because this Forever adapter allows you to overcome that issue by passing the audio signal through the Lightning Cable port. Just connect your iPhone to one end, your 3.5mm audio device to the opposite end and this tiny audio adapter will take care of the rest! Perfect for use with any audio device that connects via a 3.5mm AUX connection. Enjoy a high quality music stream with this Forever Audio adapter. The sound passed through this adapter will remain of high quality, with no loss in bass or treble. This Forever Lightning to 3.5mm audio adapter is really compact and light - you will barely notice it being there! It will also add little to no bulk to your overall music listening setup, meaning you can still take it with you to the gym or out and about. Despite entry level pricing, the Forever Audio adapter features high quality aluminum encased port connectors, ensuring durability of the item. No matter what your usage looks like, you can always rely on this audio adapter. 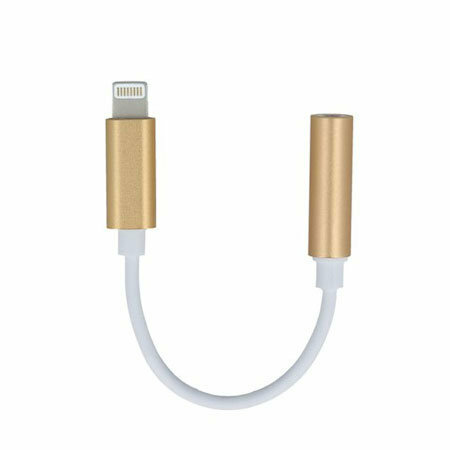 The Forever Lightning to 3.5mm Audio Adapter has been designed to be used with Apple iPhone devices, which have no dedicated 3.5mm port (i.e. iPhone X / 8 Plus / 8).